Whew! Trying to keep up and cover all the bases is exhausting, but so worth it! Thanks for your patience. Now, on to the rest of the instructors for CFCF 2013. Rosa Martha Celorio was born in Mexico City. Studied History of Art and even if she didn’t work as an art historian, her life has always been connected with art and creativity. She began her career as a make up artist for the media and changed to jewelry making and teaching. She is a master Art Clay instructor and a certified PMC Artisan. She was one of the few instructors invited to attend the first New Mokume Gane course at the Aida Chemicals headquarters in Japan. Teaching is one of her passions and she is the director of education of Art Clay Mexico. Her articles and work have been featured in renowned publications such as Art Jewelry and Metal Clay Artist Magazine. She lives in Mexico City and teaches nationally and internationally. Rosa Martha brings us her metal clay expertise from her home in Mexico City. 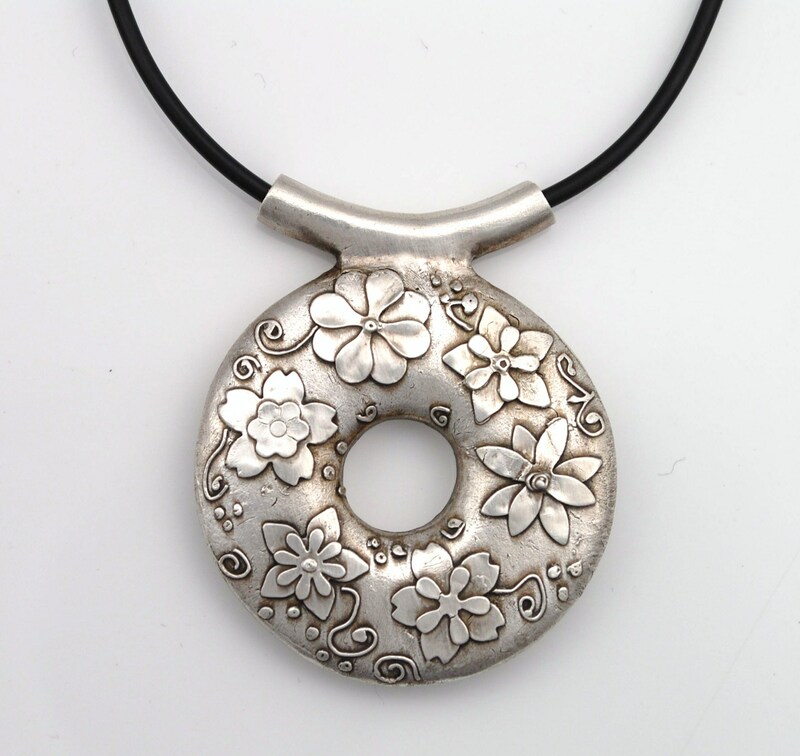 In this workshop you will learn how to create a silver pendant using a bisque bead as a core. You will be playing with different forms of silver clay and different techniques to create a unique appliquéd pendant. Techniques you will learn include: Preparing and covering the bisque beads with paste, extruding silver clay tubes and using them as bails, seemless joining, working with silver paper, combining simple shapes to create more complex shapes, using the syringe, firing in a kiln and refiring with a torch, polishing, how to apply the patina to obtain an antique look.